What Beth Comstock knows about thought leadership (that you don’t). 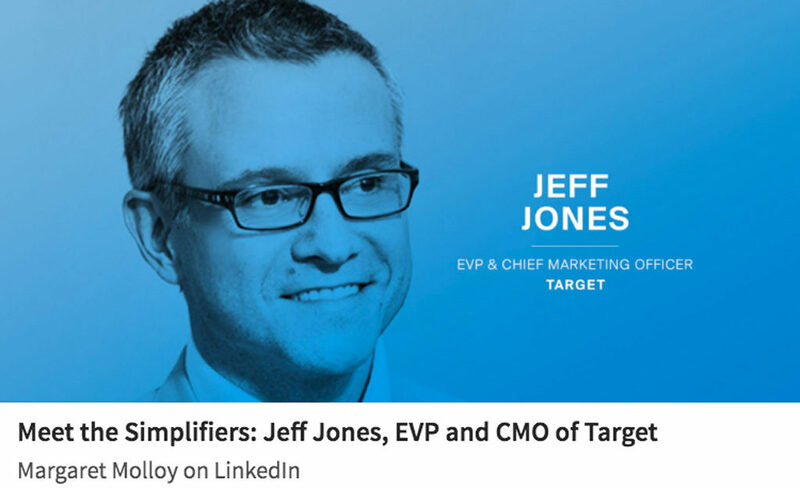 One of the foremost business thought leaders recently made a startling, if implicit, declaration about thought leadership: it’s over. Or, at least, it’s no longer enough. 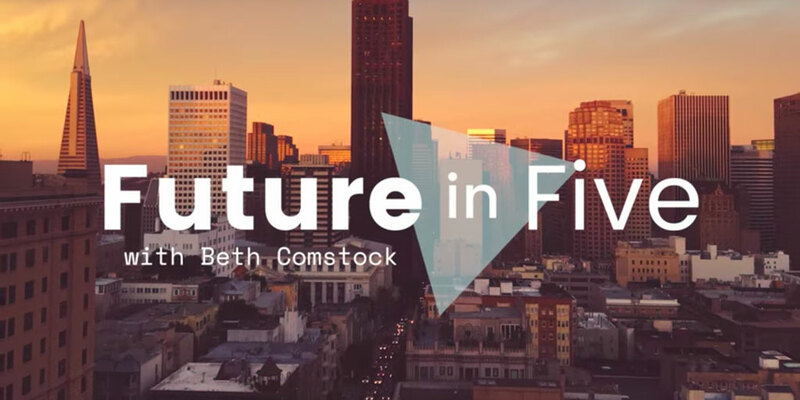 That is my takeaway from Beth Comstock’s March, 2017 introduction of the “Future in Five,” a new series of five minutes videos in which, in spite of her A-list business star status, she is neither presenter nor subject, but, rather, interviewer. And, to my mind, hers could not be a more brilliant or timely move. After all, executives are lining up the live-long day for a shot at basking in thought-leader light, only to find that their prospects are increasingly dim. Just consider the “Content Shock-ed” internet, where most will hope to distribute their insights. There are some 2.3 million new blog posts every day, and that’s just via WordPress, which is the CMS (Content Management System) for “only” 32 percent of the internet. Add to that the countless videos, podcasts, traditional media articles, conference presentations— it’s easy to see how even the best and brightest thinkers might get lost trying to push their insights to the front of this crowd, no matter how well targeted the message and distribution strategy. So what’s next? Be the nexus of industry conversation. Fortunately, the wisest business leaders seem to be getting past the old obsession with simply pushing one’s own thoughts into the marketplace of ideas. Rather, they are inviting that marketplace to come to them, share the best ideas, and, in so doing, also share the glow of any prominence and/or brilliance they may possess. How? Through creating conversations, in many forms. My favorite conversation form – and the most fecund – is the interview, as with Comstock’s example above. And another interview series, recently launched, provides a second, slightly different example and one likely more applicable to the average business need. It’s “Meet the Simplifiers,” a now-regular Q&A feature by Margaret Molloy, CMO of the business/brand consultancy Siegel+Gale. The brilliance here is not just in Molloy’s lively mind or her interviewees’ specific insights, although both are certainly of benefit to the series’ readers. Rather, the real beauty of it is that is provides Molloy with license, as the chief driver of new business for her firm, to call up virtually any CMO and ask them if they’d like to be interviewed, published, and promoted as a leading expert. In short, rather than “asking” through some traditional form of distribution for prospects to spend their time on Siegel+Gale content, she calls up offering to give them something of value. And when you’re calling to give rather than take, people are much more likely to talk. Which gets to the crux of why and how conversation leadership takes you a significant step beyond thought leadership. Conversation leadership is new business development. Thought leadership, and the content it employs, is marketing. Conversation leadership, and the immediate value it offers, is new business development. The former is about awareness, image, messaging, communications. The latter is about relationship building. The two should be complimentary, and part of an integrated whole – but they need to be understood and respected in their differences. The Global Brand Simplicity Index: This is an annual, global study of the bottom line benefits of simplifying your brand and business. This is the hub off of which all other efforts spoke (and speak). Meet the Simplifiers: In the new interview series, experts beyond Siegel+Gale are invited into the conversation, as the firm shares the limelight to both enrich its content and start new relationships. SMPL Q&A: This internal interview series is a smart way to transform what otherwise might typically just be case histories into subject-specific (read: keyword-specific) posts, illustrated by the comments of a wide range of Siegel+Gale experts. Many firms mistake “thought leadership” as just being for their top leaders; this is an excellent example of using a wide range of internal experts to not only help carry the content load, but also demonstrate the firm’s breadth of expertise. Brand Matters: This series (perhaps now over?) is a classic content play, letting Siegel+Gale experts speak to a wide range of brand-related topics in digestible video morsels. Speaking and Appearances: Siegel+Gale is also invested in supporting forums like the CMO Club, where Molloy is herself a regular presence (again, among her target audience). Add to that the personal social media force that Molloy represents (even in unrelated initiatives, such as her #wearirish campaign) and you get a powerfully interconnected platform for conversation creation. Of course, most organizations aren’t going to have the industry-leading marketing support resources of a GE, such as Beth Comstock enjoys, or even a full marketing team like you’ll find at Siegel+Gale. The key, then, is to concentrate on your most efficient, high-potential methods of creating conversations — which gets me back to the top of this article, and my mention of the fecundity (sorry, just can’t stop using the F word) of interviews. After establishing a topical focus for conversation, schedule one hour a month with your key leader or leaders. Prep them ahead of time with a list of “starter” questions to be thinking about. With just a little more ambition (and budget) you can proceed to helping your executives lead external conversations, inviting other experts (ideally from your prospect set) to join in on camera and in the various spin-offs. As you may have guessed, this is exactly the approach we help clients take at Lead the Conversation. If you’d like to know how it might apply to your organization, please contact our Chief Conversation Officer to learn more. Chuck Kent, the Chief Conversation Officer at Lead the Conversation, is a writer, brand strategist, content creator and expert interviewer. He is also a Contributing Editor for Branding Magazine, where he created and moderates the monthly Branding Roundtable (which keeps him in constant conversation with business leaders from around the world).